Generic - BlastIR In-Wall Emitter and Receiver Wall Plate K Control all your electronics plugged into your TV with a normal remote but still have them all hidden in a closet out of site. 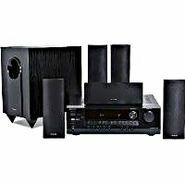 Includes all of the parts you need including a wall-plate and all necessary emitters and receivers. Generic - Sewell BlastIR Emitter and Receiver Wall Plate Ki Just because IR is line-of-site doesn't mean that your equipment has to be! Overcome your remote's distance limitations and clean up your home theater setup with Sewell's elegant IR Emitter and Receiver Wall Plate Kit. 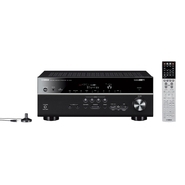 Yamaha - R-S202 Natural Sound Stereo AV Receiver Stream music via Bluetooth in your home with Yamaha's R-S202 Natural Sound Stereo Receiver. Shure - GLXD6 Guitar Pedal Receiver with Integrated Tuner The first Shure guitar pedal receiver.